The latest threat to the protestors follows fears for their safety that were expressed in the run-up to last month’s general election. A leaked letter from the chief of Nigeria’s internal security service suggested that it was manufacturing a pretext to crack down on supporters and members of the country’s Islamic Movement ahead of the poll. After holding them without charge Nigerian authorities are now trying the Zakzakys along with two other members of the Islamic Movement on trumped up charges relating to the massacre in the same year by the Nigerian military of over 1000 followers of the Islamic Movement of Nigeria. 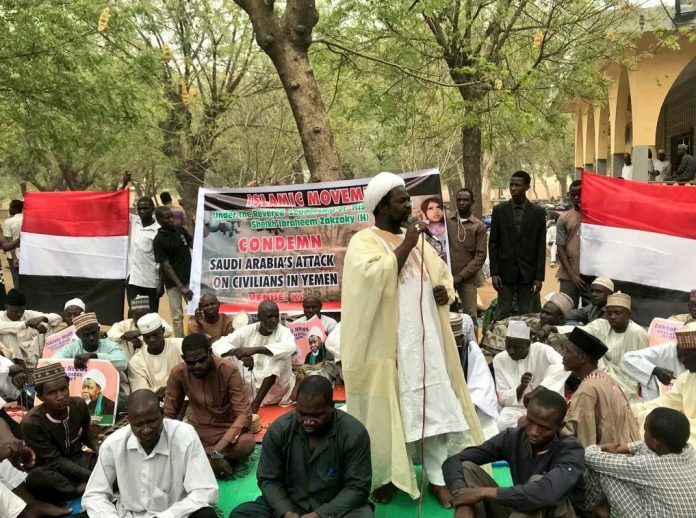 In late 2016 a federal court ruled Sheikh Zakzaky’s detention and that of his wife Zeenah unlawful and unconstitutional and ordered the government to release them by January 16, 2017 and pay compensation. That order was never implemented and the charges were brought against the couple in 2018.